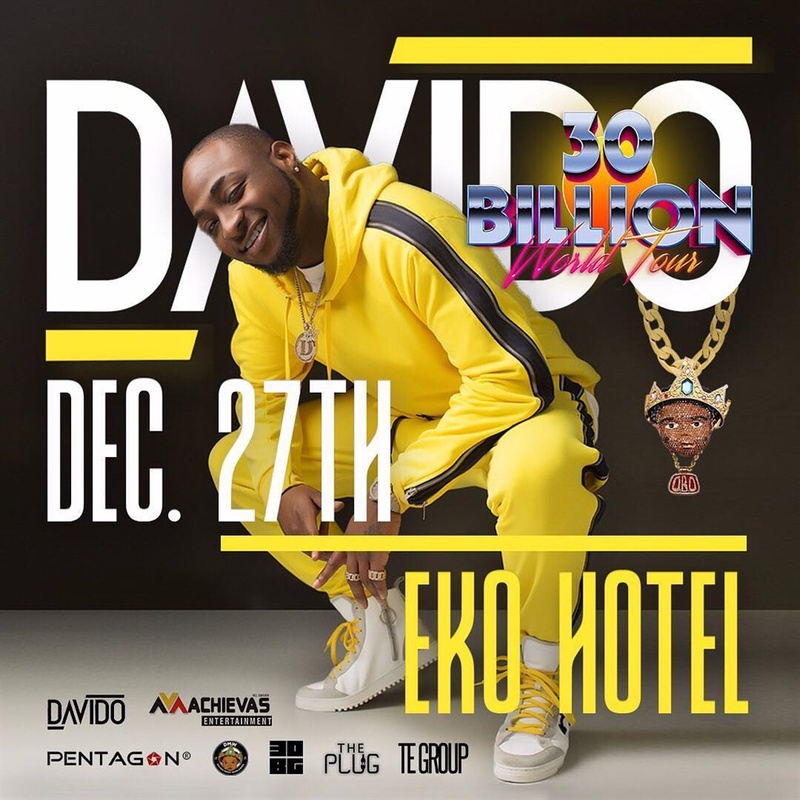 Davido is holding his first concert in 5 years at the Eko Hotel and Suites on December 27 to mark the end of his 30 Billion tour. Davido has been owing his Nigerian fans a concert for a while now. The last time the DMW boss organised a music concert in Nigeria was in 2012 when he was making his way into the music scene. Now he is finally paying his debt after 5 years, when his 30 Billion tour comes to an end in Lagos. The Nigerian superstar rode on the back of two mega hit singles 'If' and 'Fall' to go on a '30 Billion World Tour'. The '30 Billion Africa Tour' followed the '30 Billion World Tour', which will end at Eko Hotel, Lagos on the 27th of December, 2017. "It’s been a crazy year for me on so many levels and we are just kicking off! We said we were going back to basics and that’s exactly we are doing; my first headline show in Lagos in five years!! We’ve toured the world this year it’s only right we end it all in my home town – Lagos! It’s going to be crazy! Get ready, December 27th is going to be on a different level! #30BG#ThePlug Many surprises"